I am an experienced welfare rights advocate and full time carer for my wife. Like so many carers I have had to fight tooth and nail to get the pittance of benefits my wife and I are due. From this I have learnt how to help others who are in similar circumstances. this blog will offer oppinions and attitudes in a no nonsense way. When it comes to protecting the vunerable in society I pull no punches! 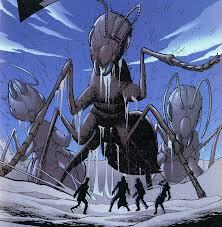 Like the ant- I can handle far more than my size suggests, and we are leigion.